The Constitutionalism and Politics Working Group is delighted to invite you to the presentation of the paper: Women and Constitution-Making in Post-Socialist Romania by Elena Brodeală* (LL.M Candidate at Yale Law School/PhD Researcher in Law at the EUI) to mark the 2018 International Women’s Day. Abstract: The role of women in constitution-making in Central and Eastern Europe is an under-researched topic, as is the topic of women’s role in the transition of the region to democracy. Literature regarding women’s role in organizations involved in the collapse of communism such as the Solidarity Movement in Poland, or on women dissidents in Romania, does exist. However, very little attention, if any, has been given to women’s involvement in constitution-making or constitutional litigation. This inattention reflects, to a certain extent, the dearth of constitutional scholarship on the region more generally. Very little is known about women as actors in constitution-making in Central and Eastern Europe and there is no serious gender analysis of the fundamental laws adopted in the region post-1989. This paper begins to fill this gap in the literature by setting out the contours of women’s involvement in Romania’s constitution-making process after the fall of communism. 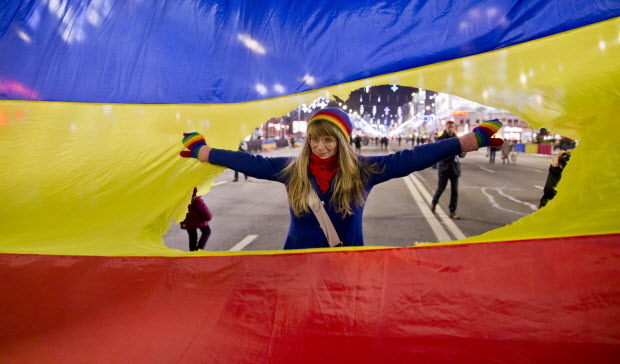 It does so by looking at five key moments in Romania’s post-1989 constitutional path and evaluating to which extent women participated as actors in the process of constitution-making or had their interests included in the debates around the Romanian Constitution. The paper therefore provides an initial but much-needed account of the Romanian Constitution’s foundations and evolution from a gender-sensitive perspective and should be seen as part of a broader research agenda forged around a gender analysis of Romanian constitutionalism. *The paper is co-authored with Silvia Șuteu, Lecturer in Public Law at University College London and is forthcoming in an edited volume on women and constitution-making.